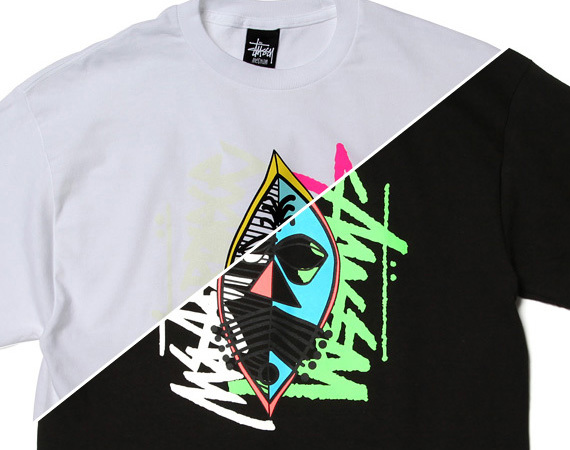 It’s been 15 years since Stussy’s Harajuku shop was open, so the celebrations were put in order by releasing new shirts with MASTERPIECE. What’s interesting is that the white MASTERPIECE logo on the front and the mirroring dual logos on the back will actually glow in the dark. According to Freshnessmag, only four versions with the pink text are available and will be sold exclusively at Stussy Harajuku Chapter, while the green one will be available at RealmadHECTIC store.